Whenever you want to have a name badge, map or any item upon your person, having a custom printed neck lanyard to attach it to makes you look smart, professional and organised. 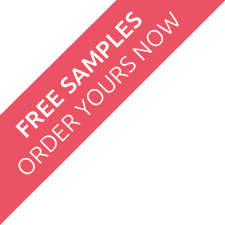 Having a personalised lanyard, printed with your brand, logo and strapline, sets your business apart amongst your competitors and really gives your business a sharp and modern look. Our full colour personalised lanyards are made using dye sublimation techniques which cover the lanyard in ink, so it can be any colour and design you like. 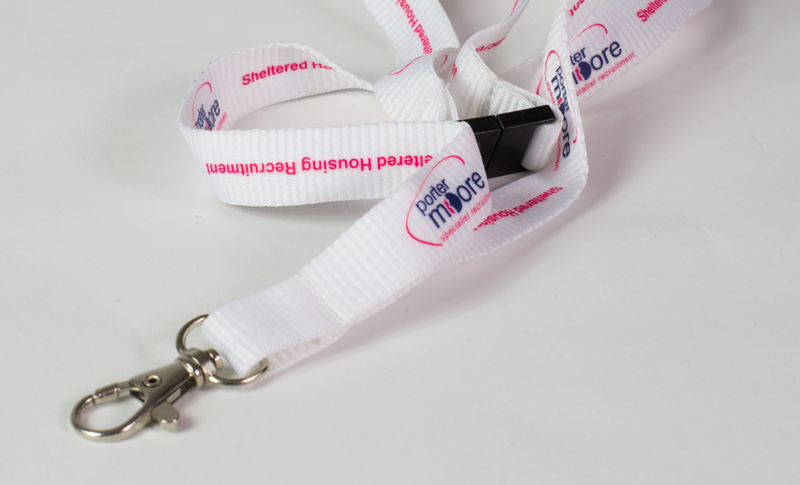 The full colour lanyards are a smooth polyester, fitted with a safety break at the centre, and a choice of clip. The most popular being the classic dog trigger clip, closely followed by the lobster claw style clip. Our screen printed personalised lanyards are printed using spot colours, to a pantone died polyester textured ribbon (noticeably more chunky than the full colour dye sublimation version. Fitted with a safety break at the centre, and a choice of clip. How Long Is A Neck Lanyard? When open, a standard length lanyard measures 90cm. This is the norm. Longer and shorter lanyards are available on request. A non standard length may effect the price. Our lanyards come with a choice of fitted clip. The most popular is the dog lead trigger clip, the lobster clip (shaped like a lobster claw) and the badge clip also known as a crocodile clip. Different clips and attachments are available, these may effect the price. The versatility of the lanyard makes it suitable for a variety of businesses. At exhibitions or conferences they are great for carrying around a name tag or programme of events; in day to day use they are great at hanging onto your belongings such as a camera or MP3 player; maybe you are even refereeing a sports event and need a handy way to get to your whistle. For carrying around any item and having it close to you at all times, the lanyard is the perfect accessory for pure convenience. Our lanyards come in all sorts of different materials including tubular polyester, flat polyester, flat nylon, a special dye sublimation material (great for attention to detail) or an eco-friendly version that is bio-degradable and made out of recycled yarns or bamboo. The polyester materials listed above in the price matrix are standard, other materials will effect the prices.